The Esperanza plant is a plant of many names. Yellow bells, yellow elder, trumpet flower and ginger-Thomas are just some of the names used to describe the Esperanza plant, botanically referred to as Tecoma stans. A member of the begonia family, the Esperanza grows bright-green, opposite foliage with pointy tips and toothed edges. A showy plant, the yellow elder blooms bright-yellow, trumpet-shaped flowers that hang in clusters. While some variations are low-growing evergreen shrubs, other Esperanza variations are deciduous trees that can reach mature heights of 25 feet. Keep the Esperanza plant in a location that provides at least eight hours of full sunlight each day. Select well-drained, elevated areas for outdoor plants. 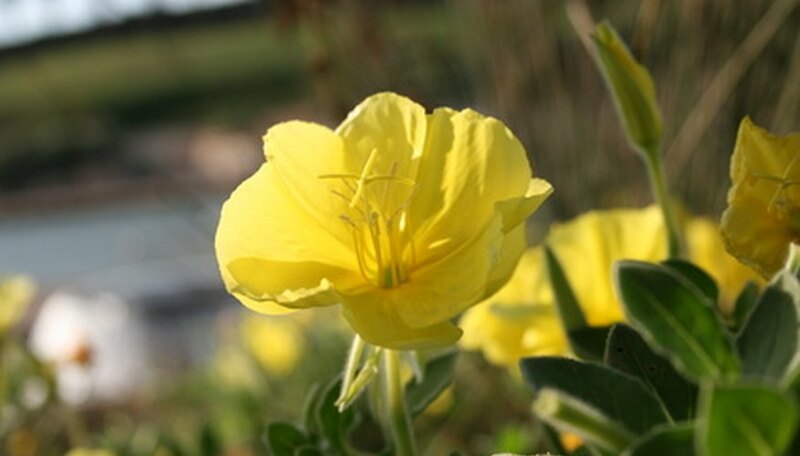 Plant the indoor yellow-bell in a container with more than one drainage hole to ensure proper drainage. Protect the outdoor Esperanza plant’s soil moisture levels by adding a layer of mulch around the base of the plant. Lay a 2- to 3-inch layer of organic mulch around the base of the shrub or tree. Irrigate the yellow elder thoroughly approximately once each week. Provide the plant with 1.0 to 1.5 inches of water using a slow to moderate flow or drip irrigation. Avoid overhead irrigation to reduce disease potential. Feed the Esperanza plant in the early spring and again in midsummer. Use a well-balanced, controlled release fertilizer such as a 10-10-10 or 20-20-20 combination. Prune the yellow elder periodically through the growing season to develop shape and maintain size. Use sharp, sterile pruning shears and cut at an angle. Keep the plant’s area free of defoliated debris and petals to reduce for disease. Inspect the foliage, blooms and branches regularly for signs of infestation or disease. Look for wilted or spotted foliage, dieback or growth stunt or a presence of mildew on foliage and blooms. Treat the infected plant immediately to prevent permanent injury.